On the night of New Year’s Eve, we went to Ichiro in Steveston to have soba noodle (it’s a Japanese custom to have soba noodle on the night of New Year’s Eve. Ichiro was open quite late that night for those who came to have soba noodles. We arrived there at half past ten and had their special soba made out of tea with roasted duck and Kakiage (a mixture of vegetable bits fried in batter). I give 120 points out of 100 for the taste. 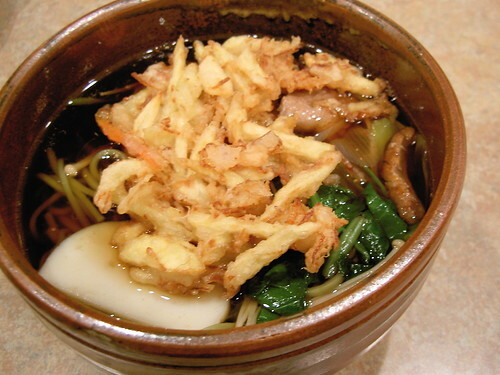 Ichiro’s soba and udon noodles are the best. After being fulfilled with the delicious food, we headed to Nitobe Garden in UBC (University of British Columbia). Nitobe garden is a memorial garden which praises Mr. Inazo Nitobe’s contribution for establishing connection between Japan and Pacific. 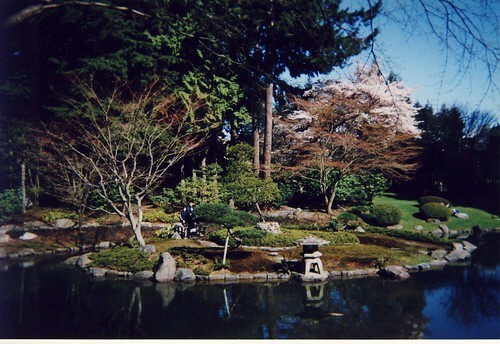 This garden is chosen as the 4th most beautiful Japanese garden in North America. Next to this garden, there is a Japanese style big bell and lots of people were queuing up for strike the bell in turns. 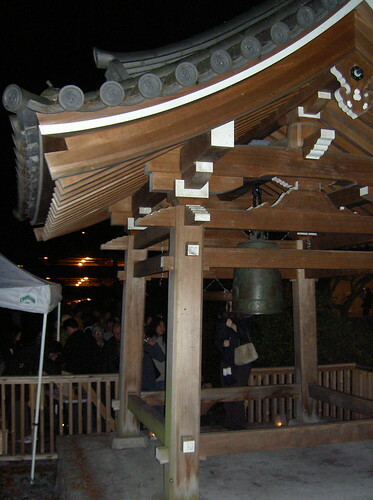 This is also a Japanese custom to strike a bell on the night of New Year’s Eve. There were people who were giving free sweet sake and rice pastries. We had the sweet sake and celebrated the near year listening to the sound of the bell. It was as if we were in Japan. This entry was posted in Restaurants, Vancouver. Bookmark the permalink. Cool, I never know that new year can be fun in Vancouver..haha. ☆Hi Ting, I know I cannot believe it’s so quiet on the New Years Eve in Vancouver!